This strange, wonderful and utterly whacky image shows all sorts of flying machines and winged creatures making their way home. Some of the flying machines are sophisticated, futuristic “flying saucers”, some are more like zeppelins, whilst others are simple hot air balloons. And the “home” they are all aiming for is a large castle with lots of tall towers, brightly lit windows and quirky features. The surrounding landscape of rich green fields and rolling hills looks calm, in direct contrast with the busy, crowded sky. Created by arguably the world's favourite puzzle artist, Colin Thompson, the bright colours and masses of detail promise many happy hours of puzzling! Puzzle includes an A4 colour leaflet showing further puzzle image for reference, information about the image and artist's biography. High quality 1000 piece cardboard jigsaw puzzle. The finished puzzle measures 70 x 50cm when complete. 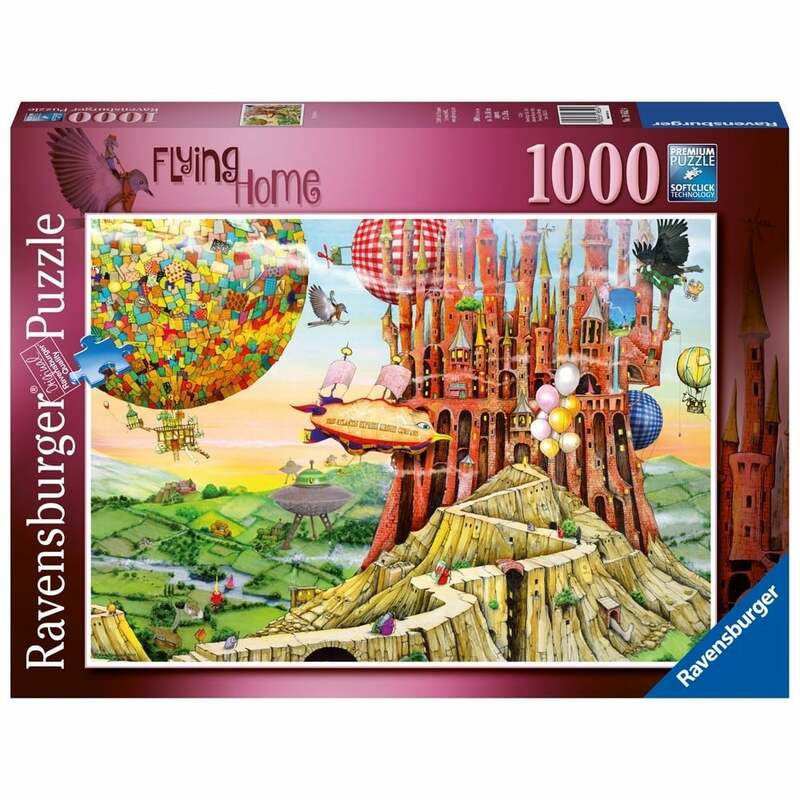 Made from strong premium grade cardboard, with linen finish print to minimize glare on puzzle image.